The Google Assistant has been bundled into the browser, added into Android, and squeezed into Android Wear: now, it’s getting a sleek object d’art for the smart home. Google Home is the search giant’s take on the smart speaker space, a direct challenge to everyone’s current favorite virtual PA, Amazon’s Alexa. 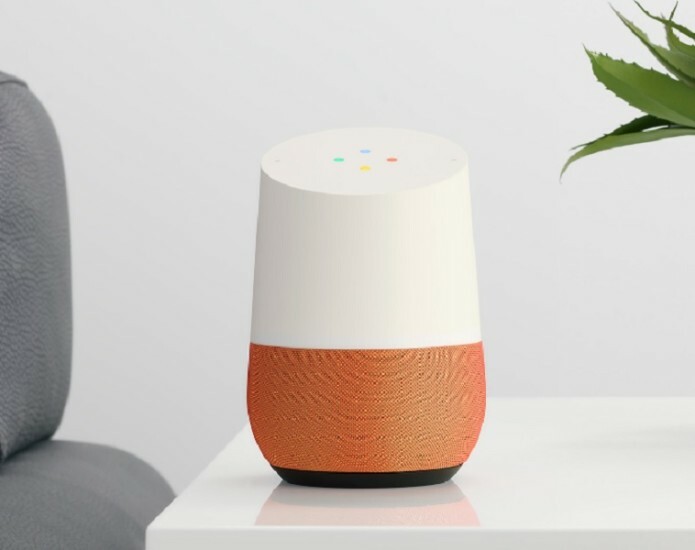 At $129, Google Home undercuts Echo (though not Echo Dot) and, if your digital life is already in Google’s cloud, it promises a more streamlined way to consume that data around the home. If Amazon’s Echo is a vaguely ominous totem, Google Home opts for a more curvaceous, less threatening design. It’s a little like an essential oil defuser, only one with interchangeable base sections. Screw apart the two halves – they cling together magnetically – and you can switch out the lower grille for different colors like the pumpkin-orange shown here, or various metal and fabric finishes.